Sports Toto Super League 2nd in the opening match at the Trabzonspor home, will face Sivasspor. The struggle will start at 19:45. Trabzonspor was the guest of Başakşehir in the first game of the season of the past week and left with a 2-0 defeat from the field. Especially in Bordeaux Mavililer which seems ineffective on the offensive, serious disconnection occurs between the 2nd and 3rd regions. Of course, the lack of Burak Yilmaz is an important factor in this context, but neither Sosa nor Yusuf Yazici has been very effective in terms of lock passes against Başakşehir. This clearly showed that Trabzonspor was ineffective on the offensive. Sivasspor is the guest of the week in the past week, Alanyaspor’u Emre Kılınç’ın 1-0 in the second half of the match with a single goal and the season began with victory. It is worth noting that Sivasspor, who has drawn a more compact picture compared to Alanyaspor during the match, can not benefit from net opportunities with Kone and Robinho. 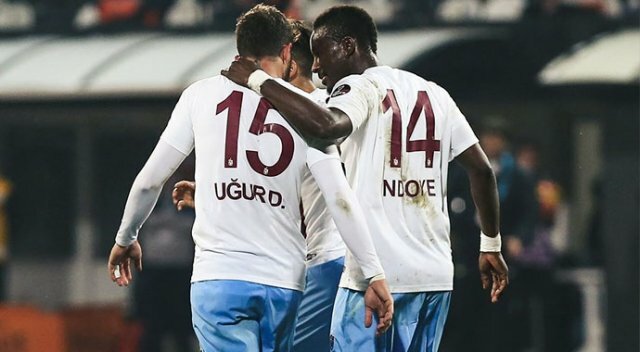 Trabzonspor’da players now need to take responsibility. Both Yusuf and Kucka need Sosa’s key role to play well. Sivasspor is a difficult team but I do not think Trabzonspor will make mistakes in the first home game of the season.